To which category your question belongs to? Where does the LEAD study take place? LEAD takes place in the study centre of the Ludwig Boltzmann Institute (LBI) for COPD and pneumological epidemiology at the area of Otto Wagner Spital, Sanatoriumstraße 2, A-1140 Vienna, Building G, 2nd floor. Which organisations are part of LEAD?  The LEAD study is conducted by the Ludwig Boltzmann Institute (LBI) for COPD and pneumological epidemiology – an institute of the Ludwig Boltzmann Gesellschaft. Why should I participate in LEAD? You help us gain solid new medical research results and improve future treatments for our society. Your initiative helps to protect, sustain and even recover the health of many people in the future. With your participation in the study you can get more information about your own state of health. Who takes part in LEAD? In a total about 11.000 participants from vienna and its surroundings have already taken part in LEAD. These probands will be invited for further examinations within the following 12 years. Children, adolescents, men and women between 6 and 80 years are participating. This is how we can gain a good overview about the Austrian general population. What do I have to take care of, if I participate in LEAD? You should reserve about 3,5 hours for the examinations. Bring a list of all medicamentation, that you have to take on a regular basis (name, dose, frequency of intake, e.g. Blopress 8 mg 1/2-0-0). Please come with an empty stomach for the correct determination of blood sugar and lipids. We ask you not to eat for at least 4 hours, unsweetened drinks are allowed. Read the statement of content closely, sign it and give it to one of the staff members.